Art Paris Art Fair celebrates its 20th anniversary. 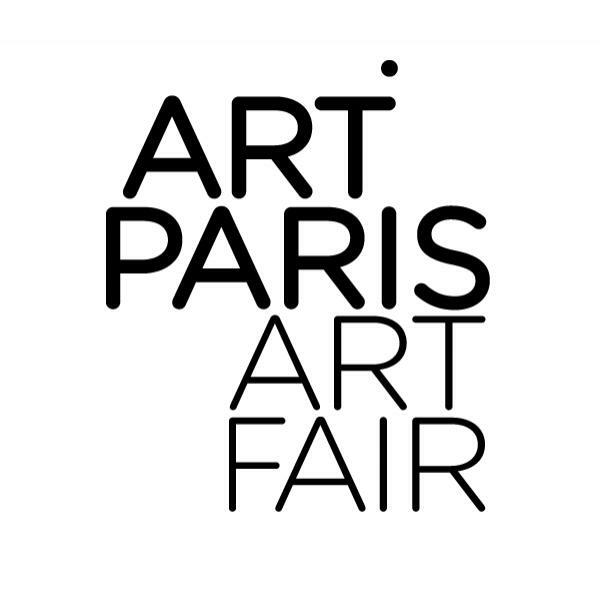 2018 marks the 20th anniversary of Art Paris Art Fair. Since its foundation in 1999, the fair has established itself as Paris’ leading modern and contemporary spring art event. The 2018 edition will play host to 142 galleries from 23 different countries providing an overview of European art from the post-war years to the current day, while leaving room for the new horizons of international creation from Latin America, Africa, Asia and the Middle East. Open to all forms of artistic expression, including video art and design, Art Paris Art Fair offers a theme-based approach emphasising discovery and rediscovery. This year’s guest country is Switzerland and the fair will also be taking a close look at the French art scene with a new theme developed especially for the twentieth anniversary as well as the monographic exhibitions in Solo Show and emerging artists in Promises. On the one hand, the 2018 selection is characterised by the arrival of new countries, such as Canada (Christopher Cutts Gallery), Portugal (Galeria Carlos Carvalho), Russia (Art 4 and K35 galleries from Moscow), Kuwait (CAP Contemporary Art Platform), the Czech Republic (Cermak Eisenkraft Gallery) and Saudi Arabia (Misk Art) and on the other hand by the influx of renowned Parisian galleries, who are either returning to the fair or participating for the very first time. In the latter case are LOEVENBRUCK, Thomas Bernard-Cortex Athletico, Backslash, Dominique Fiat, Eric Dupont, Odile Ouizeman, Alain Gutharc, Jean Brolly, Polaris and Bertrand Grimont, not forgetting Galerie Particulière, Eric Mouchet and Zlotowski. For its 20th anniversary and in reference to its initial vocation of supporting the French art market, Art Paris Art Fair asked exhibition curator and art critic François Piron to take a subjective look at the French art scene. The idea was to select 20 artists among the projects presented by participating galleries and to produce an in-depth textual analysis of their work. His choice puts the spotlight on some unique figures from the 1960s to the present day, artists who have managed to preserve their independence, or stayed on the margins of mainstream culture. Their work today deserves both to be reinterpreted and enjoy greater visibility. Some monographic exhibitions will notably allow the public to revisit the psychedelic works of 70s counter-culture dandy Frédéric Pardo (LOEVENBRUCK), Hessie’s feminist embroideries and collages (Galerie Arnaud Lefebvre), stencil art by Blek le Rat, who was a pioneer of urban art in the 80s (Galerie Ange Basso), blue monochromes by Geneviève Asse (Galerie Oniris Florent Paumelle) or Vincent Gicquel’s tragi-comic paintings (Galerie Thomas Bernard Cortex Athletico). A.C.M. (1957) / Galerie J-P. Ritsch-Fisch - François Arnal (1924-2012) / Sobering Galerie - Geneviève Asse (1923) / Galerie Oniris Florent Paumelle*- Bernard Aubertin (1934) / Galerie Jean Brolly - Blek le Rat (1951) / Galerie Ange Basso* - Pierrette Bloch (1928-2017) / Galerie Rosa Turetsky / Galerie Véronique Smagghe - Leonardo Cremonini (1925- 2010) / T&L Galerie* - Hervé Di Rosa (1959) / AD Galerie* - Vincent Gicquel (1974) / Galerie Thomas Bernard Cortex Athletico* - Hessie (1936-2017) / Galerie Arnaud Lefebvre* - Carlos Kusnir (1947) / Galerie Eric Dupont - Vera Molnar (1924) / Galerie La Ligne - Tania Mouraud (1942) / Galerie Rabouan Moussion / Galerie Claire Gastaud - Frédéric Pardo (1944–2005) / LOEVENBRUCK* - Jean Raine (1927 - 1986) / Galerie Michel Descours* - Jean-Pierre Raynaud (1938) / Galerie Caroline Smulders* - Bernard Rancillac (1931) / Galerie Françoise Livinec - Roland Topor (1938 -1997) / Galerie Vallois - Yves Trémorin (1959) / Galerie des petits carreaux - Marie-Thérèse Vacossin (1929) / Galerie Wagner. A selection of around one hundred modern, contemporary and emerging artists represented by either 13 Swiss or European galleries. Taking a closer look at the 13 Swiss galleries exhibiting at the fair (from Bern, Geneva, Lausanne, Zürich and Neuchâtel): Ditesheim & Maffei’s booth is entirely devoted to major artists from the Swiss scene, from Giacometti to Thomas Huber and from Louis Soutter to Jean Tinguely; Galerie Rosa Turetsky is orchestrating a ‘confrontation’ between the different generations of artists from Pierrette Bloch to Sandrine Pelletier who are represented by the gallery; Duflon Racz is bringing together 6 young artists who work in painting and sculpture/objects including Simon Deppierraz, huber.huber and Elisabeth Llach; Galerie Andres Thalmann is establishing a dialogue between its Swiss artists (Katja Loher, Guido Baselgia and Barbara Ellmerer) and French painter Claude Viallat. In parallel, certain European galleries have chosen to pay tribute to Swiss creativity: on the same stand, Eric Mouchet and Zlotowski are juxtaposing Le Corbusier’s paintings and drawings with Matthieu Gafsou’s series of photos ‘La Chaux-de-Fonds’ (Le Corbusier’s hometown); Galerie Tanit is presenting conceptual works by Adrian Schiess, Sigrid Gloerfelt and John M. Armleder, as well as works by Sylvie Fleury and Urs Lüthi which play with humour and philosophy. The presentation of Helvetia Art Collection’s latest acquisitions focusing on emerging talents little-known in France. Since the 1940s, Helvetia, which is also an art insurer, has continued to expand its collection of contemporary Swiss art, which has become one of the most important of its kind with more than 1,700 works by 400 artists. A video art programme in the Project Room that provides a forum for 20 Swiss women artists from different generations and which brings together, from a conceptual standpoint, the history of art and Swiss civil history; the arrival of this new medium in Switzerland in the 70s coincided with women obtaining the right to vote, which was introduced on a federal level in February 1971. Emmanuelle Antille, Marie-José Burki, Claudia Comte, Saskia Edens, Joëlle Flumet, Mireille Gros, Luzia Hürzeler, Stéphanie Jeannet, Gabriela Löffel, Selene Mauvis, Ursula Palla, Elodie Pong, Anne-Julie Raccoursier, Delphine Reist, Pipilotti Rist, Anne Rochat, Carole Roussopoulos, Laura Solari, Katja Schenker, Annelies Strba, Marion Tampon-Lajarriette are some of the artists featured in this programme. A programme of digital projections on the Grand Palais façade which showcases a highly innovative generation of Swiss artists including Camille Scherrer, Alan Bogana and Yves Netzhammer (who represented Switzerland at the 2007 Venice Biennale). Three artists who represent, by their origin, three different cultural regions of Switzerland (Camille Scherrer for French-speaking Switzerland, Alan Bogana Italian Switzerland, Yves Netzhammer Germanspeaking Switzerland). The Switzerland guest of Honour programme has received the support of the Swiss Embassy in France and Helvetia. The video art programme is supported by Vidélio. The Promises sector hosts 12 young galleries in existence less than six years, which may present up to three emerging artists each. The L’art est vivant/Promesses* prize rewards a young talent represented by one of the Promises sector galleries at a key moment in his/her career. The 2018 selection includes: Anna Marra Contemporanea (Rome), Francesca Antonini Arte Contemporanea (Rome), Art Gallery K35 (Moscow), La Balsa Arte (Bogota), Eko Sato Galerie (Paris), GNYP Gallery (Berlin), H Gallery (Paris), Kolly Gallery (Zürich), Montoro 12 Contemporary Art (Rome), Pierre Yves Caër Gallery (Paris), Progress Gallery (Paris), Rutger Brandt Gallery (Amsterdam). * L’art est vivant is an endowment fund created by D. Fizelier that brings together passionate enthusiasts and collectors interested in the emerging contemporary art scene. At the heart of its actions is an open-minded approach that fosters discovery. The fund helps with the production and distribution of art, supports and organises exhibitions and events, publishes artists’ books and other works, in addition to purchasing and loaning artworks to French and foreign institutions. Promises is supported by L’art est vivant, Lefranc Bourgeois Paris and The Wall Street Journal. A monographic exhibition offers a special moment in an artist’s career as it helps to develop a better understanding of his/her work and, by that, it develops the artist’s reputation. Ever since 2015, Art Paris Art Fair has been encouraging the presentation of one-person exhibitions spread throughout the fair. The 2018 edition features an unprecedented number of 35 solo shows featuring international artists such as Todd Hiddo (Galerie Particulière), Kengo Kuma (Galerie Philippe Gravier), Grégoire Müller (Grob Gallery) and Steve Sabella (Contemporary Art Platform Kuwait). Solo Show is supported by Barnebys. A wind of change is blowing in France as more than ever Paris asserts its place as the world capital of art. The ‘Springtime in Paris’ VIP programme, elaborated in partnership with the capital’s museums, highlights the best artistic events across Paris including ‘Lutz Bacher, The Silence of the Sea’ at the newly inaugurated Lafayette Anticipations Foundation, ‘Neïl Beloufa, l’Ennemi de mon ennemi’ at the Palais de Tokyo, ‘Black Dolls’ at La Maison Rouge, ‘Stéphane Dafflon, U+25A6’ at the FRAC Île-de-France Le Plateau, Subdoh Gupta at La Monnaie de Paris and Tarik Kiswanson at the Fondation d’Entreprise Ricard.